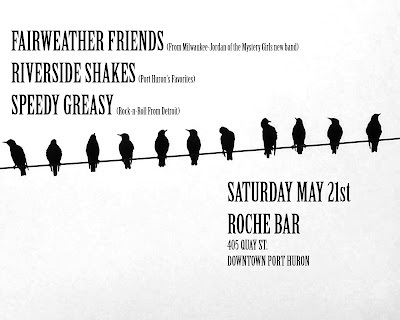 Milwaukee based The Fairweather Friends are Jordan of the Mystery Girls new band. Speedy Greasy are a rock-n-roll band from Detroit. 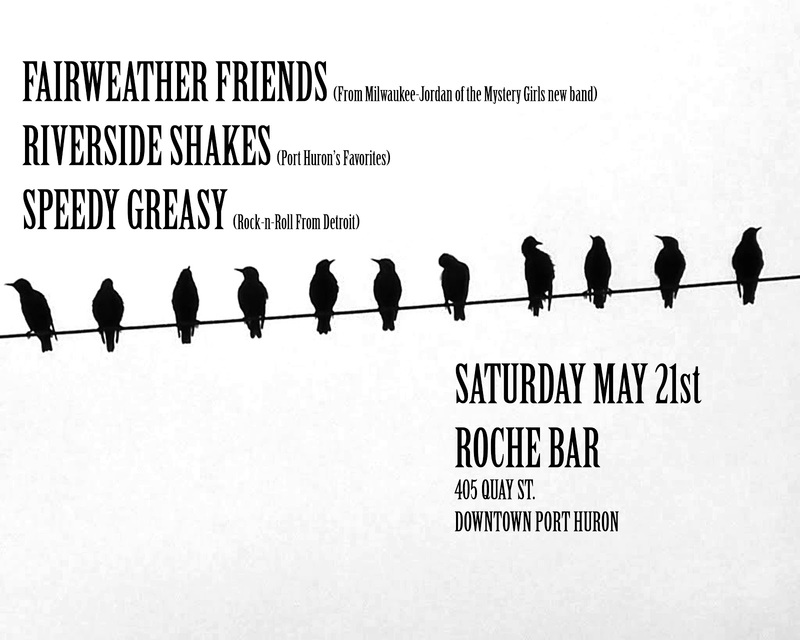 Saturday, May 21st at the Roche Bar in downtown Port Huron.